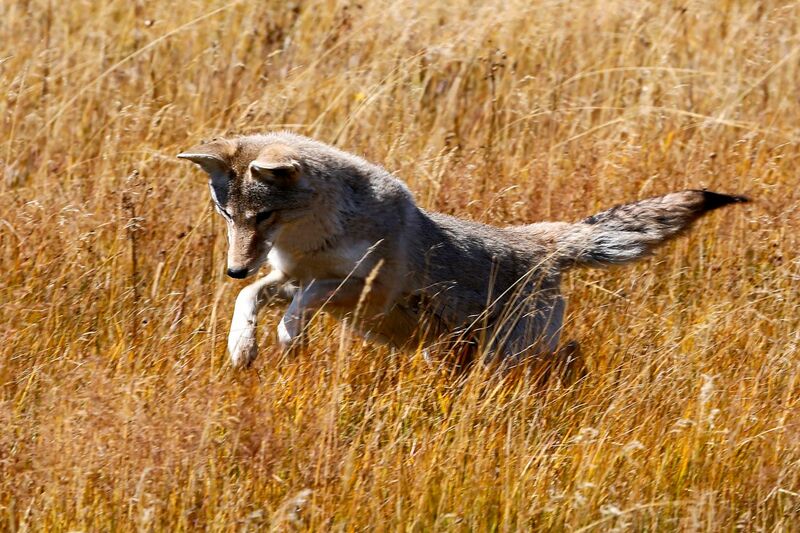 We spotted this Coyote hunting in Yellowstone NP. He just kept in the long grass for ages catching several little creatures for his dinner. I couldn’t believe how close he came to everyone but it all became too much for the little guy and he retreated into the distance, but only after we’d had a great time watching him sneaking about and jumping on his prey.